Sure, it’s satisfying to beat a tough Dark Souls boss. It’s just as satisfying to roll through a bunch of stuff. 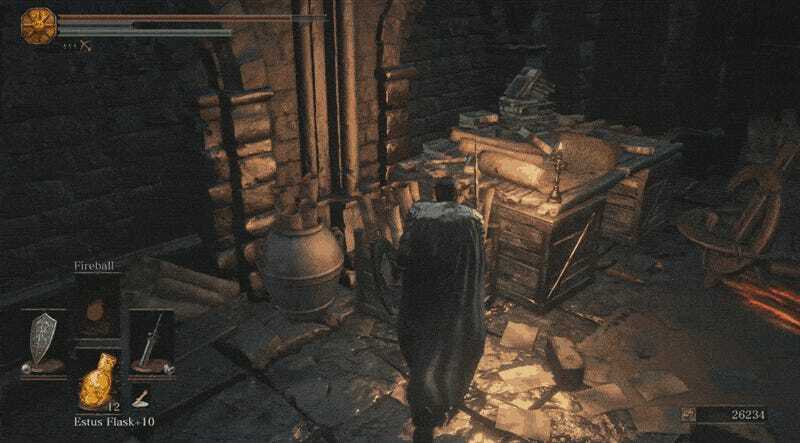 If you found the sorcerer Orbeck of Vinheim near the Crystal Sage bonfire in Dark Souls 3, you’ve probably noticed his lovely workshop. So many scrolls, stacked so carefully! It’d be a shame if anything happened to them. You can reset at the bonfire and do this as many times as you like. Take it from me, it never gets old. Also, am I the only one who thinks Orbeck’s scrolls look like giant Pepperidge Farm Pirouette dunkers?